A PDF is like a fine piece of classical architecture. It's conveys class with ease; it exists as a complete unit, in and of itself -- deftly assimilated into its context while maintaining a strong sense of purpose and individuality. It's timeless -- and impregnable! PDFZilla offers unprecedented access to the content of any PDF file. You can use PDFZilla to convert PDF files to MS Word Documents, Excel Documents, Rich Text Documents, Plain Text Files and more. Use your PDFZilla claws to pull images from the PDF as JPG, GIF or PNG files! You can also use PDFZilla to merge, rotate, and cut PDFs. 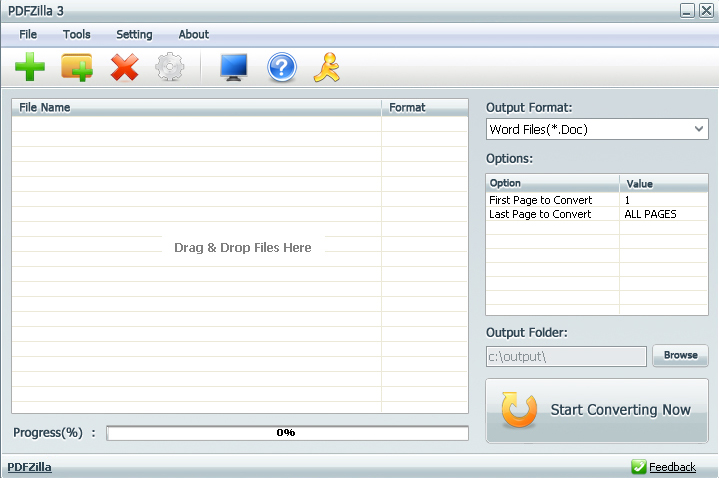 You can even convert PDFs to flash SWF format! When you're PDFZilla, the world is your oyster and it's filled with digital pearls. After you purchase PDFZilla it may be used indefinitely. PDFZilla is licensed per user, so if more people are going to use PDFZilla you will need to purchase additional copies.